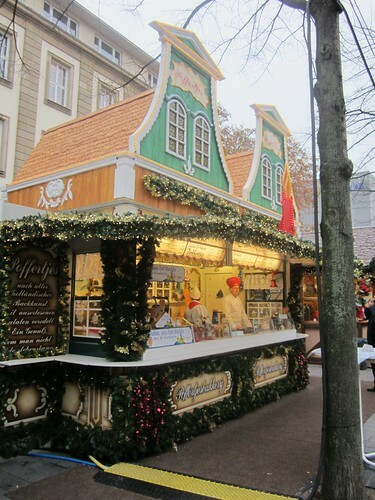 Over the past few weeks in most German towns, little wooden huts have sprung up on squares and along the main shopping streets. 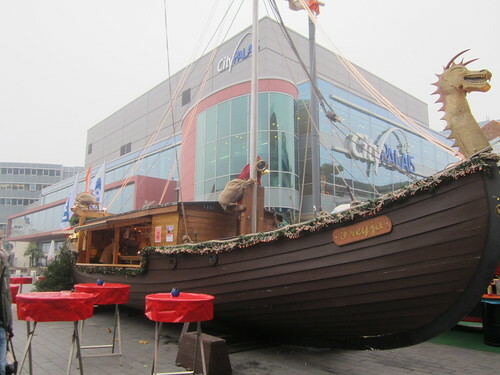 Behind shutters we heard scuffling and hammering, mysterious bags and boxes were unloaded, cables laid, lights tested… wafts of aniseed and cinnamon and ginger… a general air of mystery and excitment. 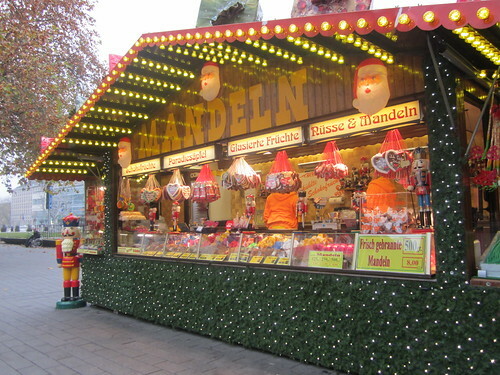 And now, this weekend most of the Christmas market stalls are finally opening up. 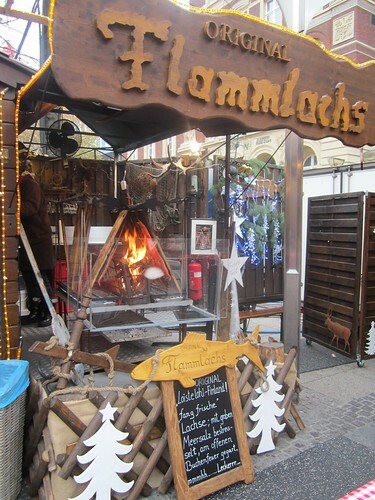 The bratwurst and waffles are sizzling, the wine mulling, the stalls full of craftwork and sweetmeats are overflowing with novelties. 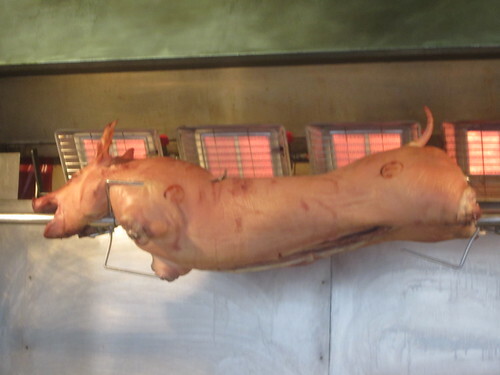 Why settle for a Bratwurst when you could eat the whole pig? 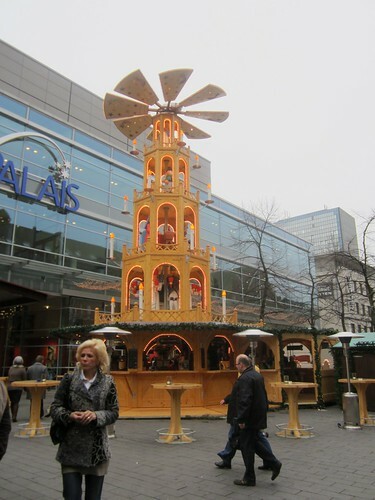 No Christmas market is complete without a German Christmas Pyramid. 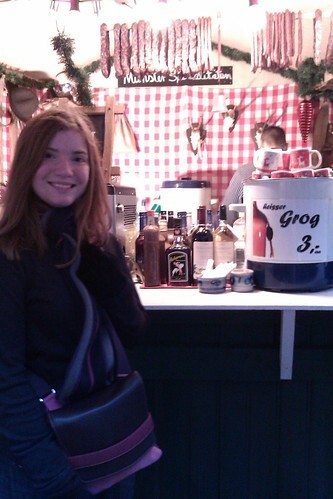 This one was a fine specimen because it actually has an integrated Glühwein stand… no German city should be without one!